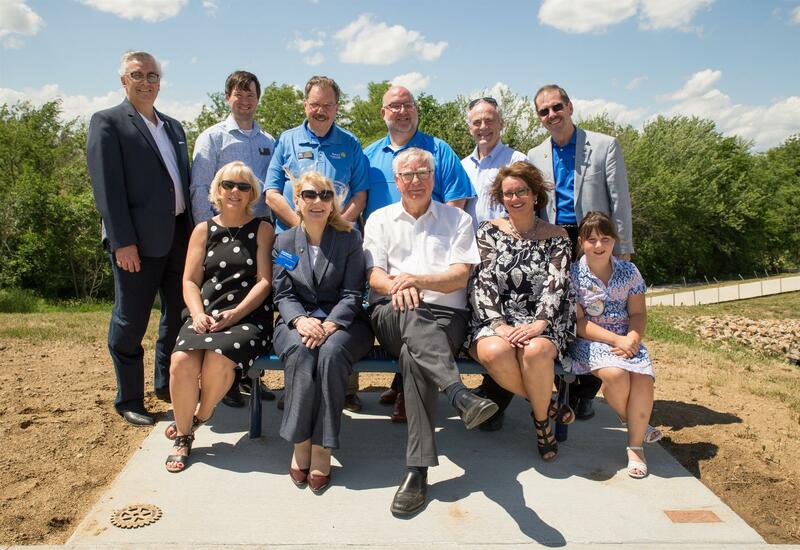 The four St Joseph area Rotary Clubs hosted RI President Ian Riseley on May 30. He attended a tree planting ceremony at the new Convention and Visitor’s Bureau in downtown St. Joseph. President Ian participated in a press conference, a ceremonial tree planting, received a Key to the City, received proclamations from the Mayor and the State Legislature and gave a short presentation to those gathered.